HOW IT BEGAN - READ ABOUT THE FIRST INTERNET AUCTION! Our fundraising efforts have taken many forms since the Pearl Foundation began. 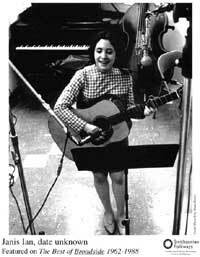 Our very first was Janis Ian's Online Auction, which raised over $70,000 in scholarship funds for Goddard College, Pearl's alma mater. People kept sending us money, so we finally incorporated the foundation as a 501(c)(3) organization, approved by the IRS, and began raising funds for scholarships. 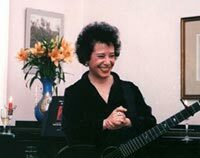 Since that time, we have continued to raise funds through Living Room Concerts, merchandise sales, our live-show "tip jar", and occasional rare, one-of-a-kind, or personal Janis Ian items via auctions on eBay. All Pearl Foundation auctions are listed using the seller name "pearl_foundation", and they always include the abbreviation "Pearl Fndn" in the item title listing. Besides the online auctions, merchandise purchased through Paypal as well as money raised by the annual Janis Ian Holiday Sale is donated to the Foundation. Additionally, when you purchase a "Special Merchandise" item (below), 100% of the money you pay goes to the Pearl Foundation. As of 2019, we have endowed more than $1,100,000.00 in scholarship funds! MORE PEARL FOUNDATION ITEMS. There are a lot more Pearl Foundation items in the Shopping Mall including a phone call, lunch with Janis, Roadie for a Day and more!